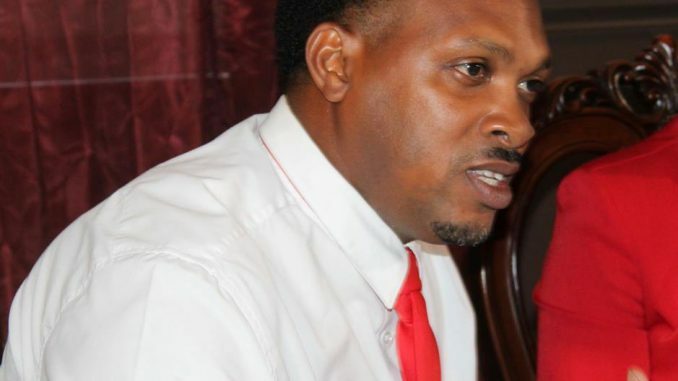 Basseterre, St Kitts, April 11, 2019 – St Kitts-Nevis Labour Party candidate for St Christopher 7, Mr Leon Natta-Nelson has described as “troubling,” Prime Minister Dr Timothy Harris’ response when asked about the alleged airport security breach by minister of infrastructure, Hon Ian Patches Liburd. “Listening to the prime minister’s press conference (on Tuesday), the leaders of this government seem to maliciously want to dismiss that there was an incident at the airport where there was a beach of security,” said Natta-Nelson on Freedom 106.5 FM “Issues” programme on Wednesday. “National security should be treated with the utmost respect and seriousness and should be dealt with in a proper manner at all times. To dismiss the claims that there was no issue or ‘I cannot recall or the minister of aviation did not say anything, did not mention anything to me, is totally disrespectful to the people of this nation of St Kitts and Nevis. We ought to know better and do better than that,” said Natta-Nelson. A leaked incident report on the security breach an eyewitness accounts on March 30 at St Kitts’ Robert L Bradshaw International Airport has identified Federal Minister of Infrastructure Hon Ian Patches Liburd as the culprit. “I saw the Hon Ian Patches Liburd, the minister responsible for utilities and SCCASPA, entered the walk-thru metal detector and went straight to the door to enter the airside area of the airport without being checked. I spoke to the Hon minister Liburd and I told him that there was a procedure on entering the Access Control Point. To this the honourable minister Liburd replied ‘procedure what.’ Mr Jervin Lapsey, the security manager/PFSO, then entered the walk-thru metal detector. I went to check him. I then heard the honourable minister Ian Liburd say ‘why you letting her check you.’ The honourable minister Ian Patches Liburd was not wearing a safety reflective vest when he was on the apron area at the RLB International Airport. However he was wearing sandals on his feet with short pants.” Lance Corporal Coreen Huggins, the security officer involved wrote in the report. Former national security minister, Dwyer Astaphan said the incident “is not only a problem for St Kitts and Nevis, but also for the United States which would have a very serious interest. That has some severe implications for the country, for the economy,” said Astaphan.